The Acro piece overviews the plethora of climbing just beyond the northern shores of Lake Garda in Italy and man there is stack of it as well! 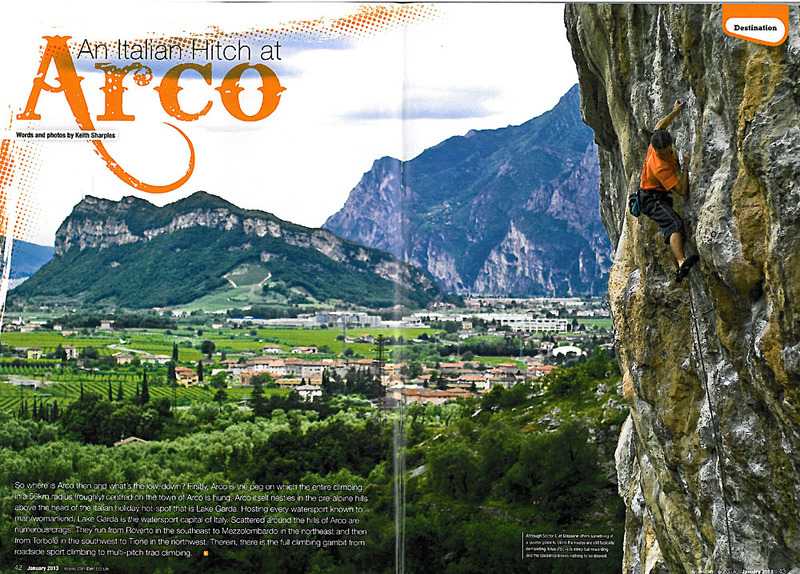 Arco is a real destination venue, one of the Italian ‘must visit’ spots for sure. I first went there back in the 90’s and I’ve had some memorable days since. However, my very first climbing experience there involved the pleasures of being belayed by a young Italian alpinist with an Italian Hitch. Quiet an unforgettable experience it was too! The Partick Edlinger obituary was a tough one to prep and write-up. He was a rock god, pressed from a mould the like of which produced our own Ron Fawcett. Edlinger’s was a rags to riches story like many from the era. He was a seminal climber – a principal actor on our vertical stage. “Le Blond est Mort” was the headline – he shaped modern climbing more than many realise. An obituary can never do a life justice but it was an honour to try to capture the essence of the man in a few words.